Do not meet your requirements? DON'T WORRY! 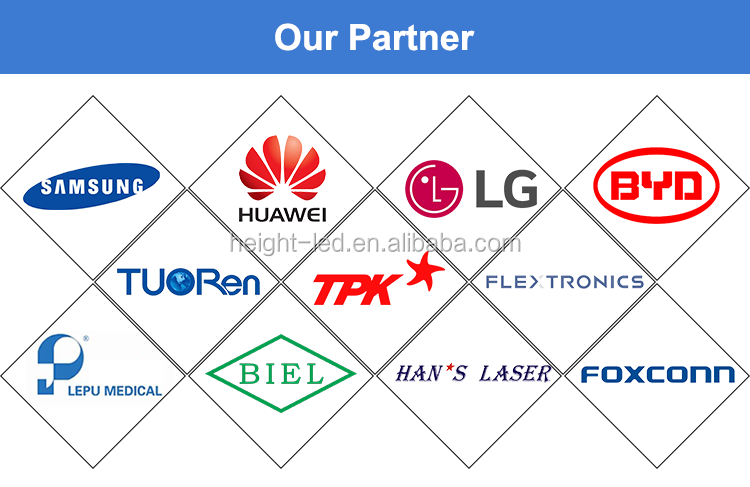 Any wavelengths, sizes and peak irradiance can be customized, and more high power UV LED can meet your requirements. 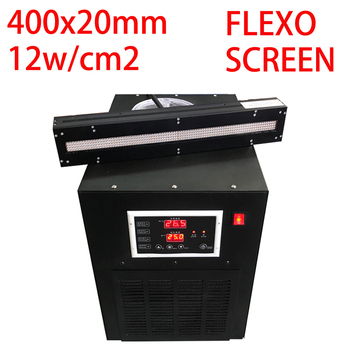 HTLD-S352-20x400 is a high quality UV LED area light source curing system, the system includes the controller, UV LED irradiation head and water chiller. 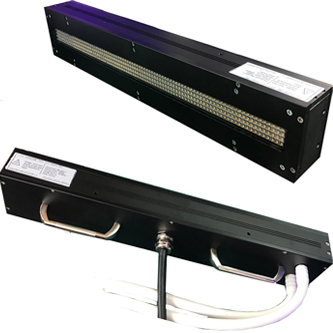 UV LED head with imported high-intensity UV LED integrated UV spectral wavelength of 365nm, 385nm, 395nm, 405nm, the effective curing area is 20x400mm, support for external signal input and trigger, can be equipped with semi-automatic or fully automated production line and printing . 5: Photoelectric induction, instant on/off, no preheating required. 9: Stable output, high uniformity. 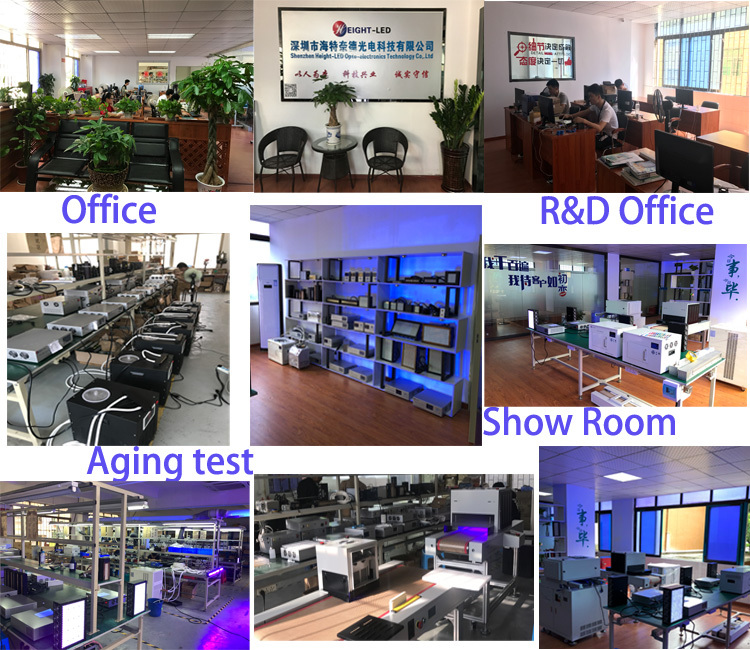 Shenzhen Height-LED Opto-electronics Technology Co., Ltd located in Shenzhen, Guangdong, China. 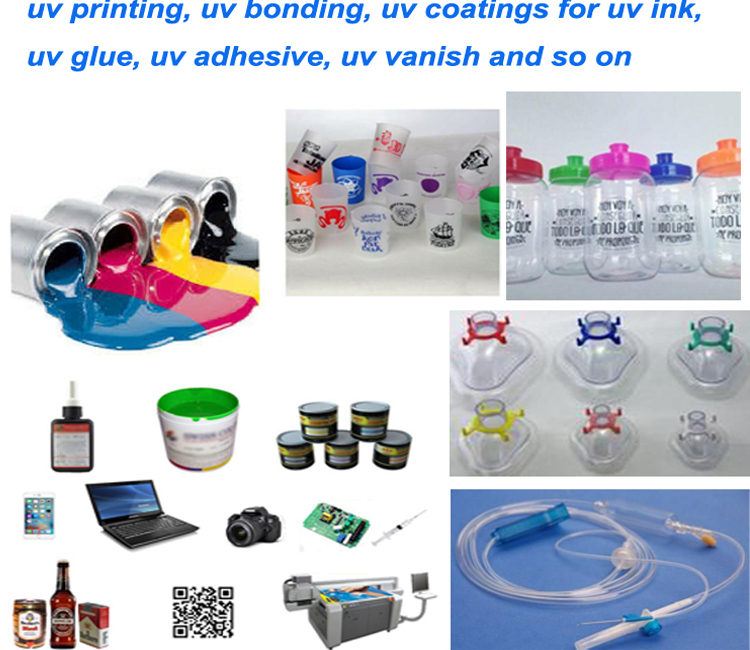 Starting in 2007, Height-LED engaged in UV-LED curing UV ink, UV adhesive UV paint, UV varnish and other UV sensitive materials. 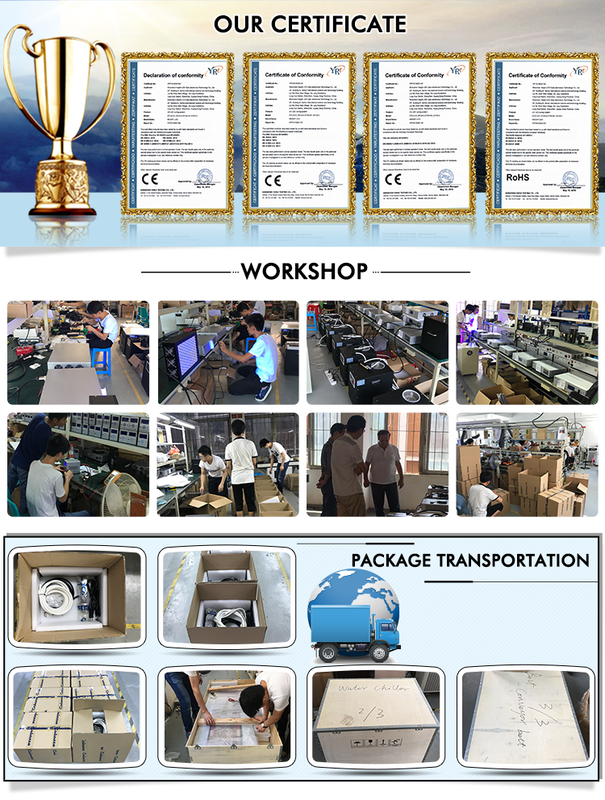 Our team has more than 15 years combined experience in UV curing systems and can meet the requirements of each client. 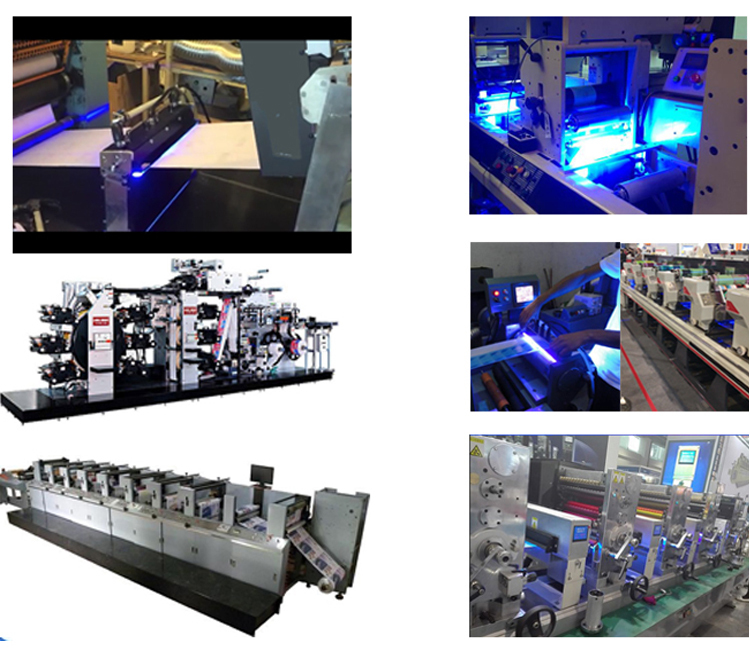 Q1: Why choose HTLD UV LED curing system? A:The team has over 10 years combined experience in UV LED curing industry and can meet the requirements of each client. 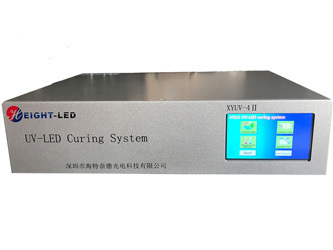 Q2: What's the application of HTLD UV LED curing system ? 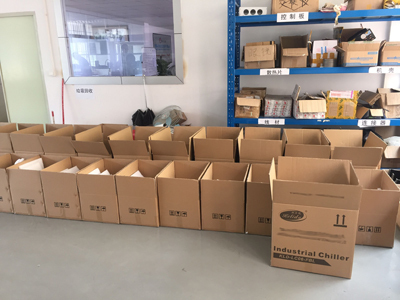 A:HTLD UV LED curing system can be used for curing UV glue, UV ink, UV adhesive, UV paint, UV varnish and other UV sensitive materials. Q3: What is the major advantages of UV LED curing system’s than other UV curing system? A:Extra-long life, energy saving and environment friendly. Q4: Which wavelength do I need? A:It depends on your UV sensitive materials. Q5: What's the emitting window do I need? A:It depends on your product’s size that need to be cure. Q6: What's the Peak Irradiance do I need? A:It depends on your UV sensitive materials and your Production efficiency. Q7: The common emitting window and Peak Irradiance can not meet my requirements? A:Do not worry! Any sizes of emitting window and Peak Irradiance can be customized . Q8: Where is your company located? A: 2/F, Towel B, Sanhe international science and technology Building, Da Lang Road,Long Hua District, ShenZhen, Guang Dong Province, China. A: Kindly make a request and tell us your curing area. The supplier is ranked number 16 by reviews data in Lighting Accessories.